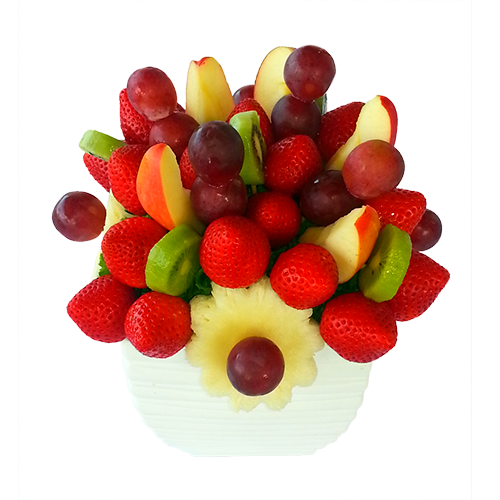 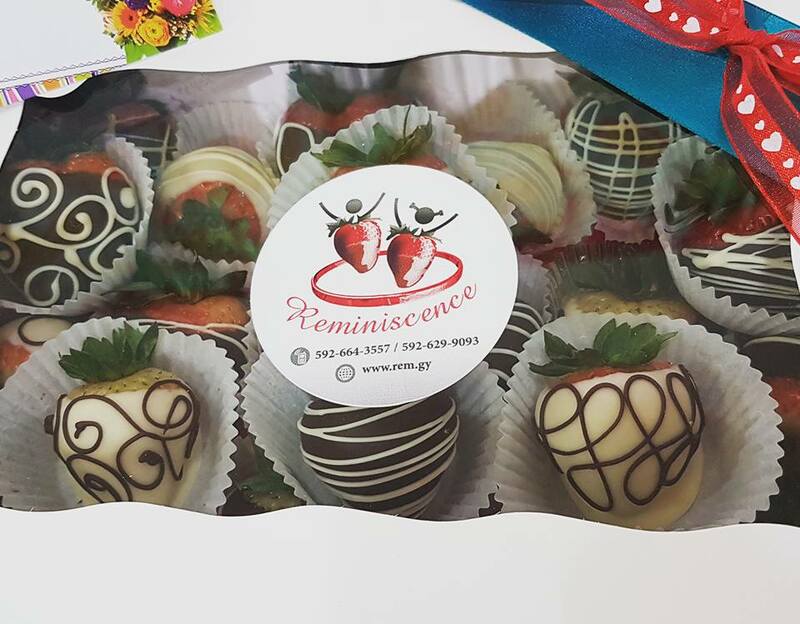 Home / Edible Gifts / Baskets / Private: Fresh Fruit Party! 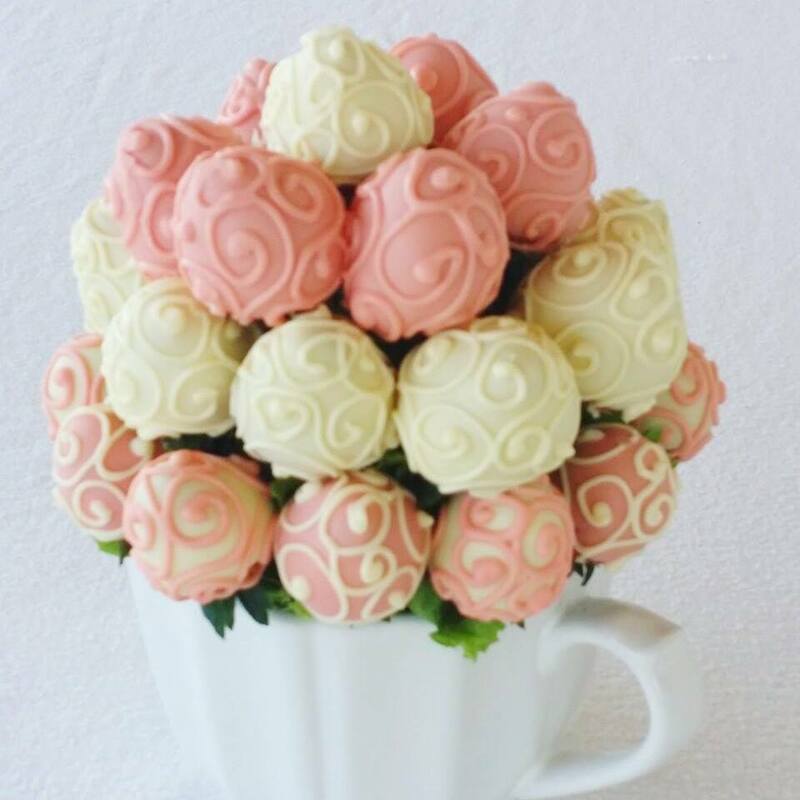 A beautiful bouquet of fresh wholesome fruits. 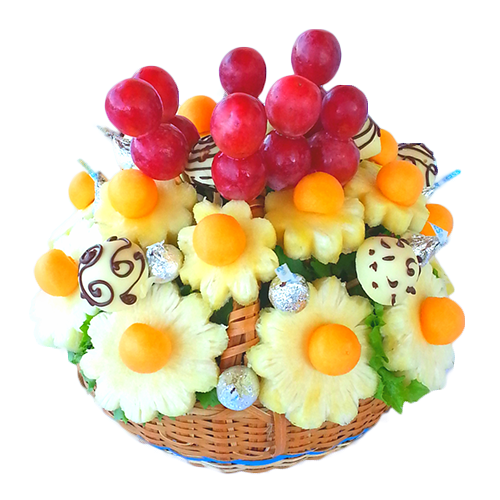 Pineapple daisies made of sweet juicy pineapple and grapes, premium imported strawberries, slices of kiwi, apple slices and skewers of grapes. 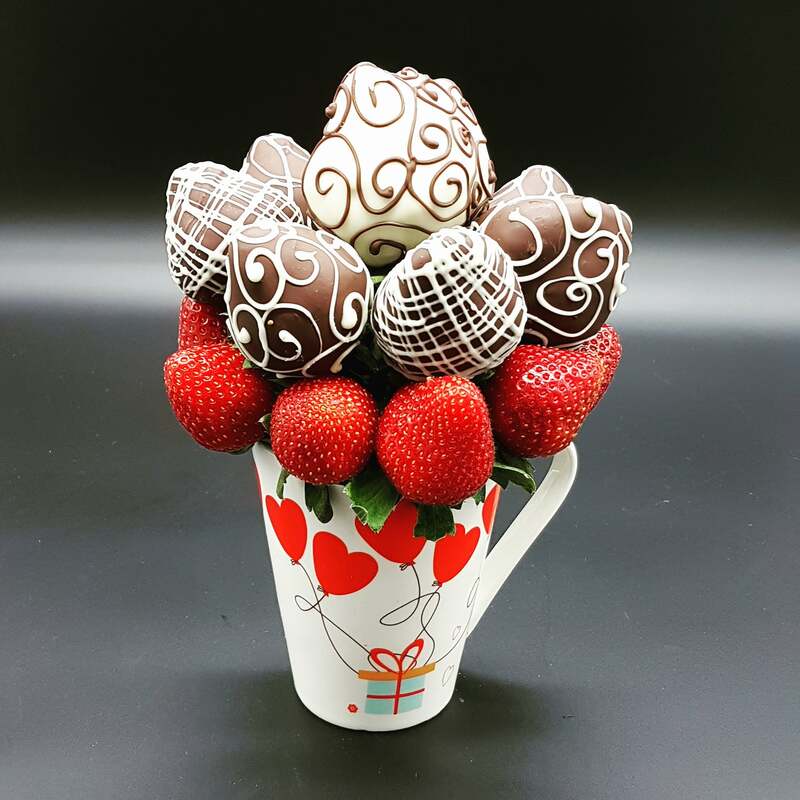 It comes in a beautiful ceramic keepsake vase.